The Somerset Autism Collection is a project funded by Department of Health and Somerset County Council (SCC) and delivered in partnership between SCC Children’s and Adults’ Social Care, Public Health, Somerset Libraries and Somerset Clinical Commissioning Group. 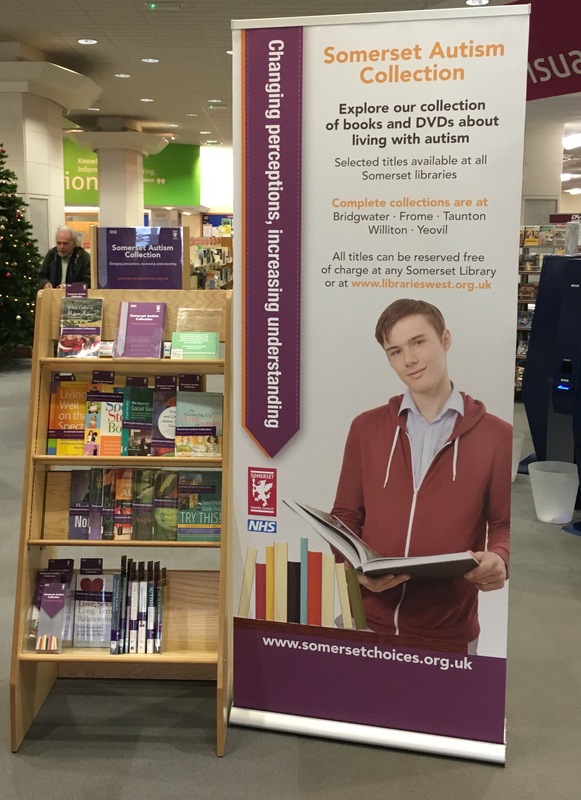 Somerset Libraries have a well-established relationship with our health and social care colleagues, which has been boosted by the opportunities presented through SCL’s Universal Health Offer, such as Books on Prescription. It was therefore recognised that a version of this proven ‘special collection’ model would work well for this project. We launched the Somerset Autism Strategy and Somerset Autism Collection in tandem in mid-November. The collection includes 40 book titles and DVDs to support people with autism, their families, carers and friends, as well as professionals and the general public. We worked with people living with autism and organisations like the National Autistic Society, Somerset Parent Carer Forum and other health and social care services to select the titles. 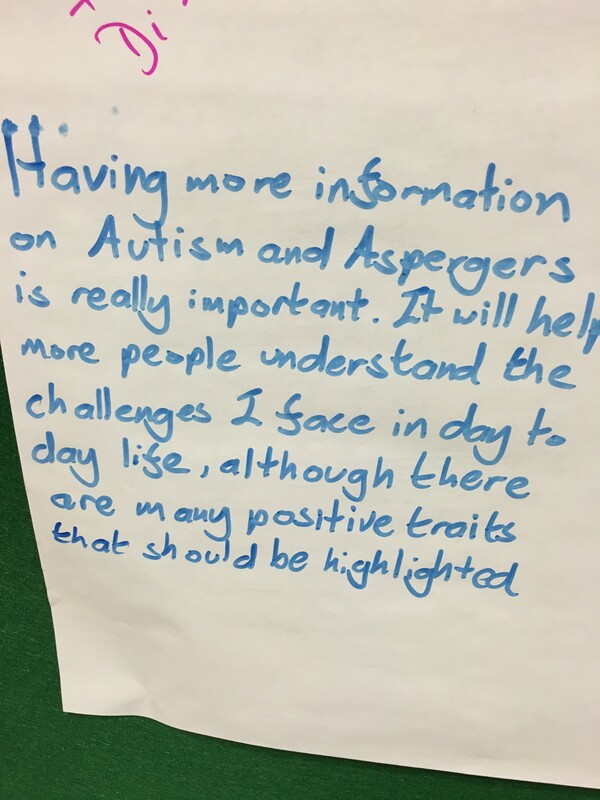 The books include information, advice and a celebration of all things autistic, which are relevant to people directly affected by the condition and others who would just like to know more. Every Somerset library holds a selection of the books with the full collections available at five of our libraries. We have also provided long term collections to relevant community organisations and childrens’ centres across the county. The project also covered the display stands, promotional materials, staff training and has enabled free reservations and six week borrowing period. A key benefit for us was working with partners to promote the new collection. The project had significant support from the Public Health communications officer, which resulted in a highly successful launch event. BBC Radio Somerset broadcast from the library throughout the morning of the launch and included interviews with Adult Social Care, Public Health and Clinical Commissioning Group colleagues, all highlighting the benefits of working with libraries to reach large audiences. The coverage also included interviews with myself about the collection, as well as being an excellent profile for our libraries generally. The radio presenters were commenting throughout about the queue at the door before the library opened, the café space and the buzz in the library – there was obviously surprise about this! Our Service Development Manager was interviewed about the perception of libraries and took the opportunity to highlight the recently launched cross-county Wi-Fi service, the Tinder Foundation funded pop up skills centre and new Code Clubs. We also brought in a young Summer Reading Challenge volunteer who spoke brilliantly about her experience of libraries. The launch event was held in the library meeting room and had a real buzz about it. The organisations represented were diverse and it turned out to be a very useful networking event. We were really delighted that the promotional materials included a ‘cover star’ who has Asperger’s Syndrome. Shane spoke at the launch event and on the radio with a friend Glenn about the common myths about those living with autism, which was very powerful. I’d thoroughly recommend listening. As a mum to a son with autism I leapt at the opportunity to take part in this project. When my son was first diagnosed, the opportunity to take in the information from books at my own pace was invaluable. It’s also really good that the collection is available to anyone with an interest in the subject whether or not they are directly affected. This collection is designed to offer factual support to people and families living with autism. It is also about giving autism a profile within a public space – a chance for the story to be told, which we hope will increase understanding, raise awareness and change perceptions. Somerset Libraries are commissioned to deliver on five outcomes, including enabling people to make informed health and wellbeing choices. 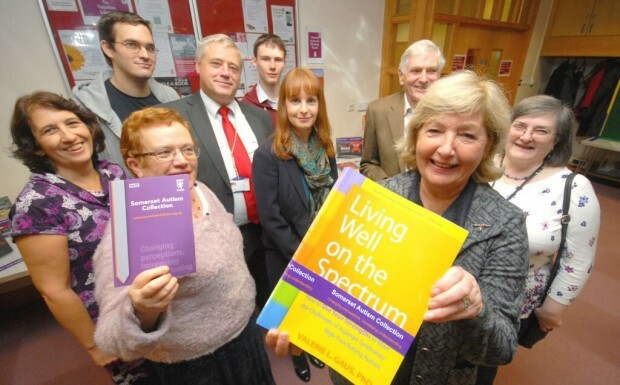 This new collection is one example of how our libraries contribute to health and wellbeing across the county.